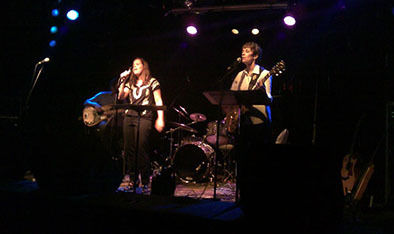 The Sonic Joy gig on June 17 at Park Place. 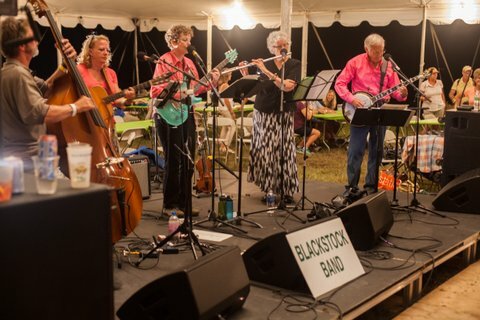 With Blackstock band at Symphony in the Flint Hills gig on June 13. 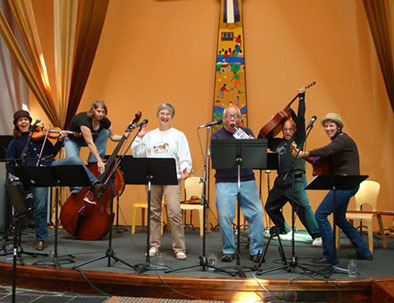 May 3rd benefit concert for Johnson County Interfaith Hospitality Network and The Hope Center for Youth. 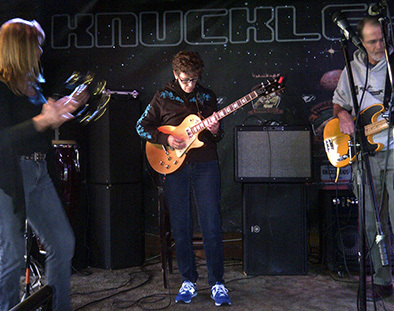 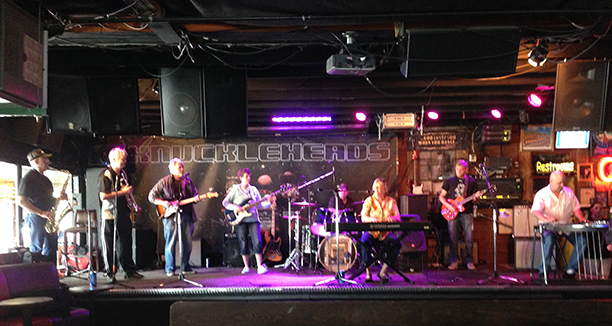 Knuckleheads jam session on May 2nd. 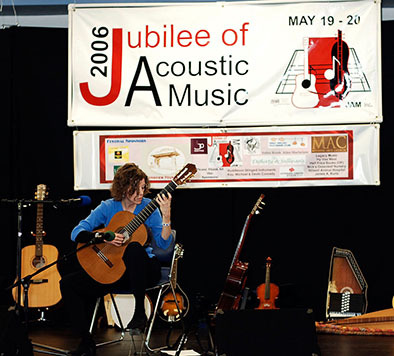 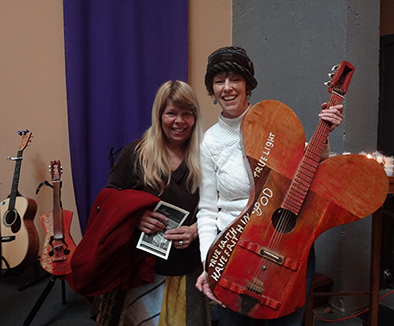 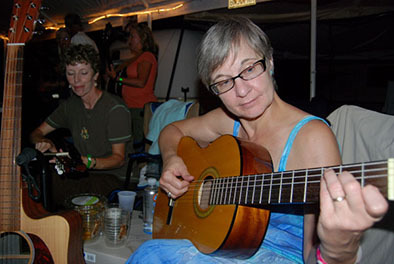 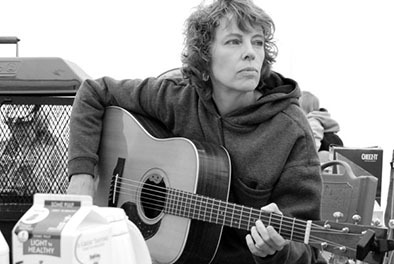 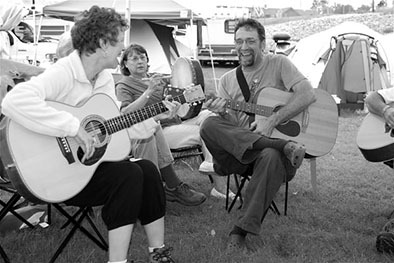 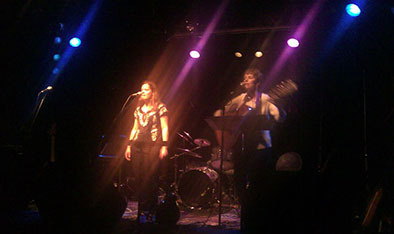 with Donna Stjerna from Still on the Hill and the butterfly guitar. 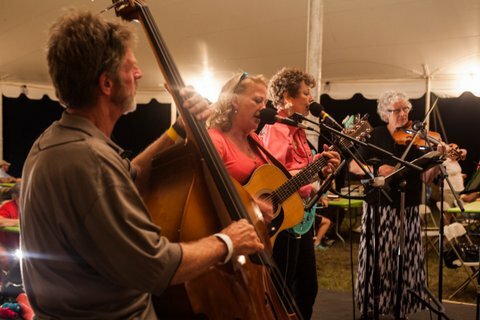 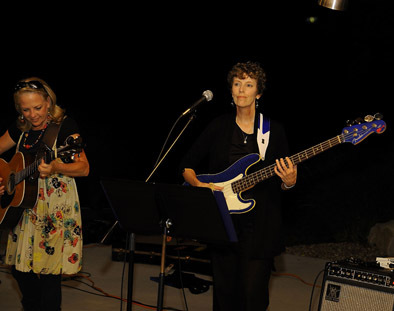 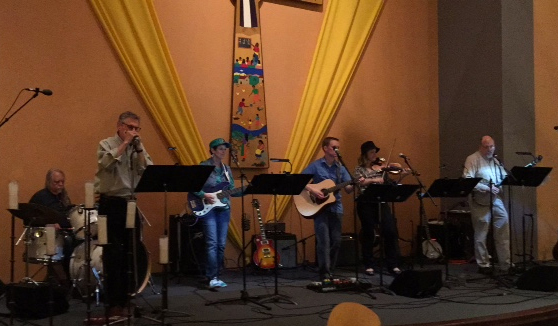 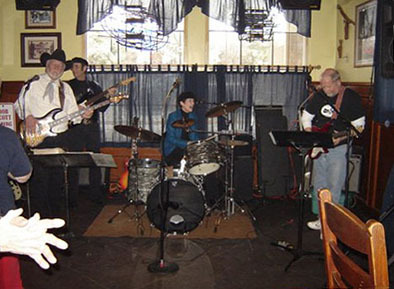 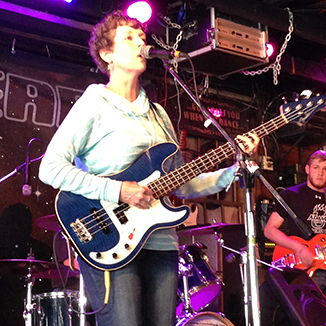 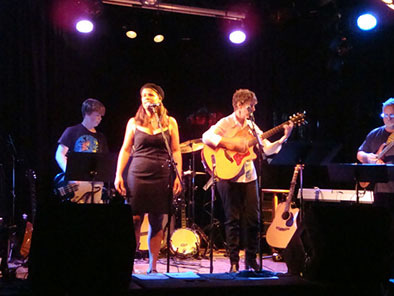 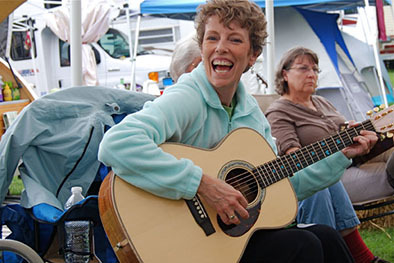 Cindy and the Blackstock Band playing for the Shawnee Rotary Club on Sept. 8. 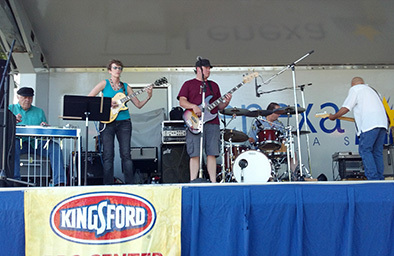 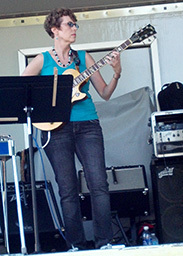 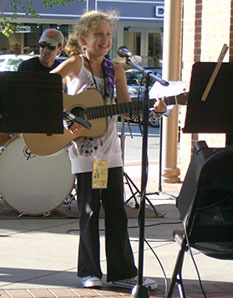 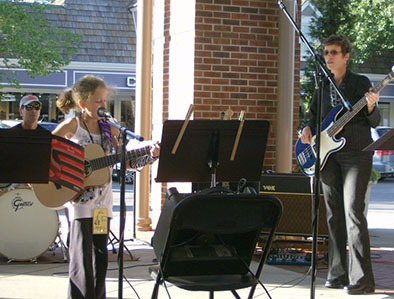 A gig at the Lenexa BBQ Fest, playing with Billy Ebeling and the Late for Dinner Band. 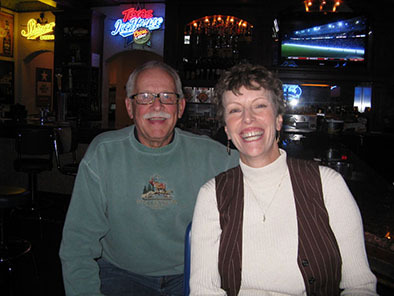 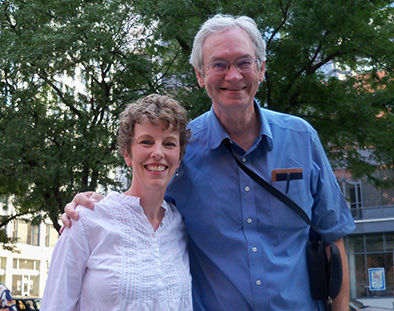 Cindy with one of her fans (and a fellow guitarist), Dale Larsen (all the way from St. 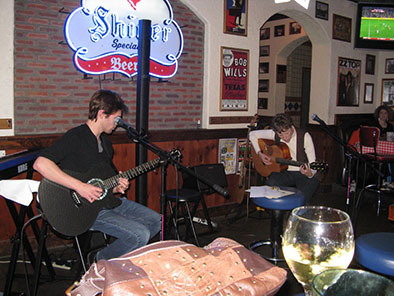 Louis! 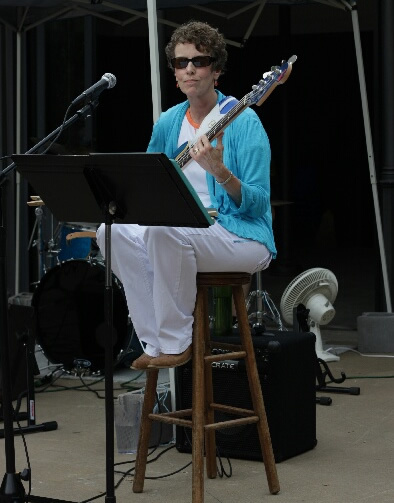 ), taken at my Kansas City Guitar Society Concert at Oppenstein Brothers Park in downtown KC. 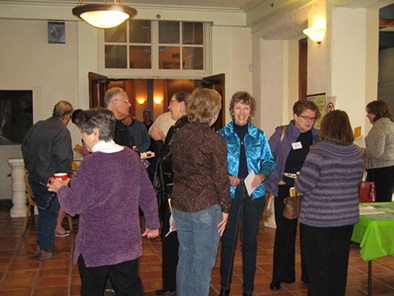 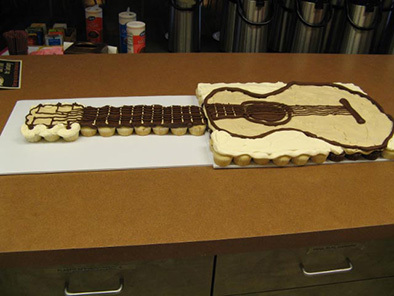 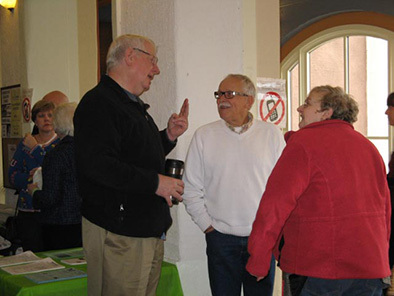 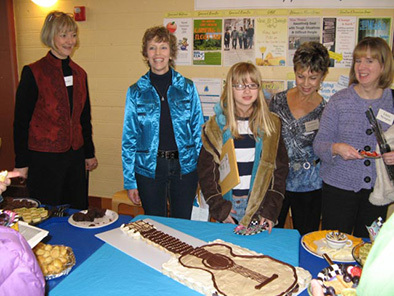 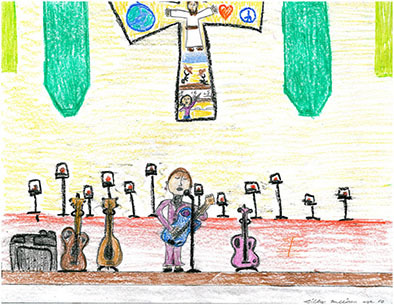 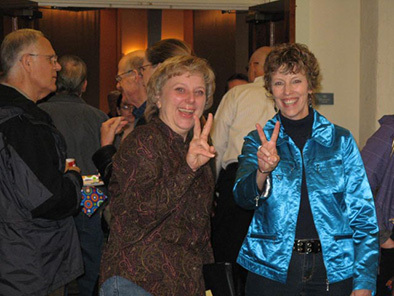 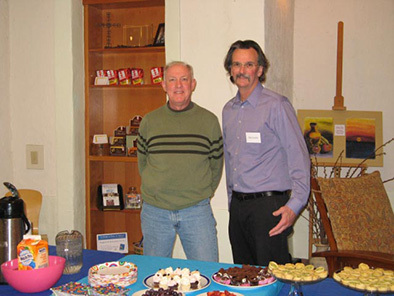 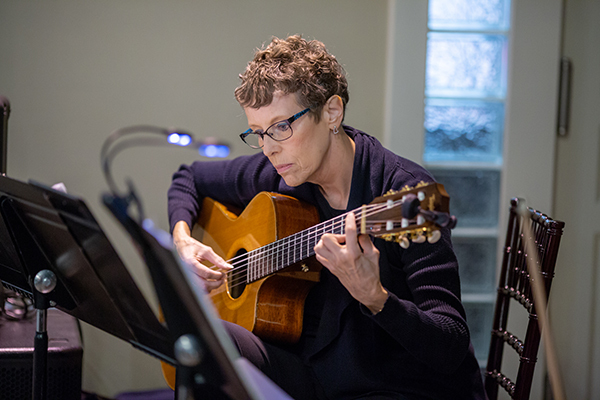 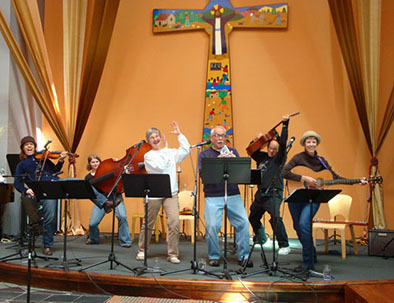 March 27, 2011 - Cindy's 20 year anniversary celebration as guitarist/music director at Saint Andrew Christian Church. 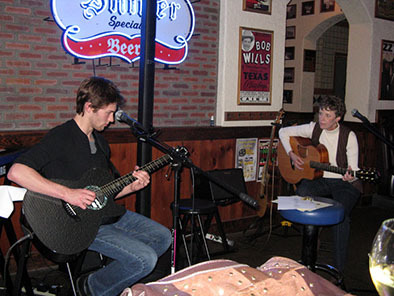 Cindy's student Keith Lee performing a gig at Wil Jenny's in Overland Park on Nov. 13. 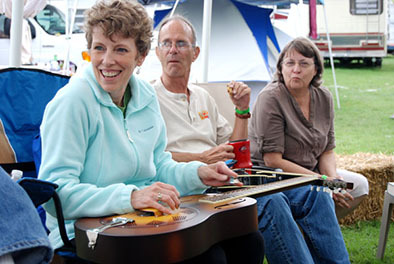 Cindy sat in on a couple of tunes. 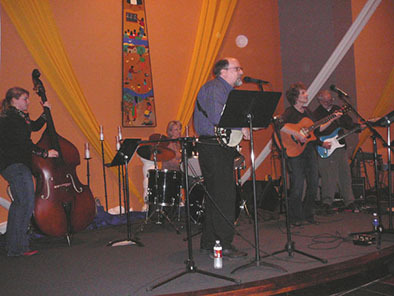 "Cafe Salvador", May 14, 2007, St. Andrew Christian Church. 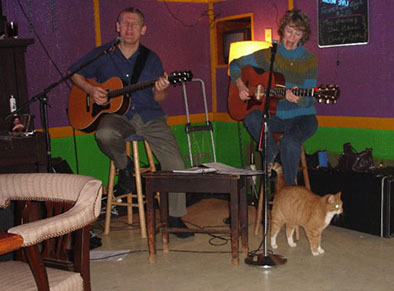 plus the cat (Fat Matt ) for whom the bar was named.